Our specific focus in this paper is on customer participation in the NPD process (i.e., customer involvement as co-developers). Within this collaborative NPD process, customers are engaged in idea generation, selecting various attributes of a new product offering and acting as co-developers of new products and services (Fang 2008). Our research contends that customer participation’s effectiveness in regard to new product performance and commercializing innovative new products is dependent on the level of absorptive capacity (ACAP) of the firm. ACAP is a dynamic capability that can help utilize the firm’s knowledge structure to acquire, transform, assimilate, and exploit external knowledge and apply it to commercial means (Zahra and George 2002). Substantively, we suggest that without a high level of ACAP, customer participation in NPD is rendered wholly ineffective in regard to the innovativeness and performance of new products. 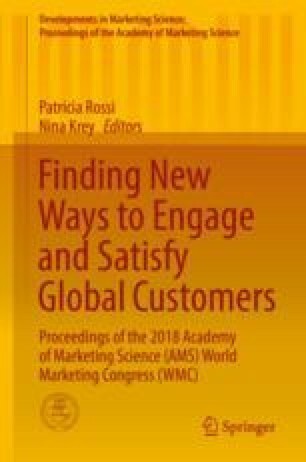 Our primary contribution to the literature is illuminating the positive, moderating role of absorptive capacity (ACAP) between customer participation in NPD onto innovativeness and new product performance. While it has been noted that the innovation and success of a customer co-developed product likely depends on internal capabilities (e.g., existence of a technology champion) (Chesbrough and Crowther 2006), previous research has not specifically looked at ACAP in this moderating role, instead focusing on proxies, such as R&D expenditures or firm size (West and Bogers 2014). As such, we examine ACAP outside of the R&D expenditure operationalization that has previously hindered open innovation and absorptive capacity research. We suggest that without proper levels of ACAP, customer participation in the NPD process essentially has a null effect. Thus, firms with low ACAP are not equipped to integrate customers into the NPD process and should avoid doing so as it could lead to lost time, effort, and resources. In a study of 241 firms of varying sizes across 14 different industries, we investigate the effect of customer participation on new product development performance. We confirm that overall customer participation is positively related to new product development performance and that the effect is mediated by innovativeness. We also demonstrate that these effects are contingent upon the absorptive capacity of the firm in question such that firms with high absorptive capacity stand to gain more from engaging their customers in new product development than firms with low absorptive capacity, especially at the later stages of the NPD process. As such, this study shows that firms must honestly evaluate their own levels of ACAP to maximize the innovative output from customer participation in NPD.